A new type of bicycle appeared in the late 1880s. The safety bicycle became the standard cycle for almost a century. It was relatively small and comfortable to ride, and much more suitable for women and children than the velocipede or the penny-farthing. 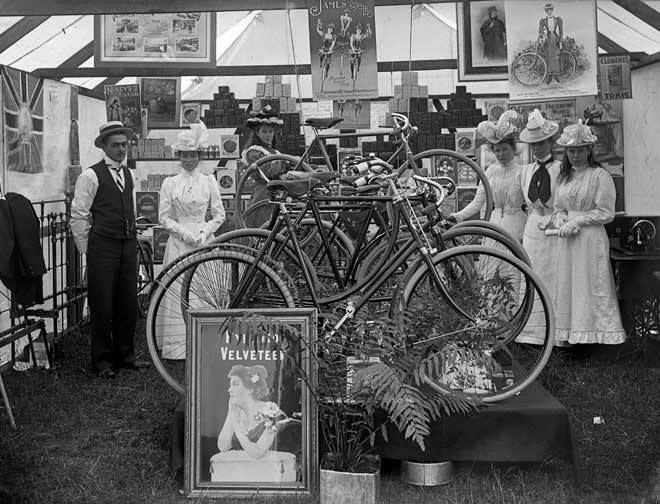 This stand of safety bicycles is at the Nelson Trade Show in 1901.